The Journal of Social Review (JSR) is peer reviewed bi-Annual International Journal devoted to the pursuit of knowledge and continuing inquiry into the field of humanities and social sciences. 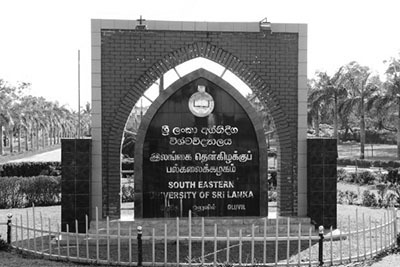 It is published by the Department of Social Sciences, Faculty of Arts and Culture, South Eastern University of Sri Lanka. JSR invites manuscripts for its June Issue that provides insights of humanities and social sciences. The manuscripts should be rigorous and make original contribution of the author to the field and should have the scope of the journal. Authors are requested to submit their papers electronically to socialreview2016@gmail.com. All manuscripts should be attached in a single Microsoft Word file.